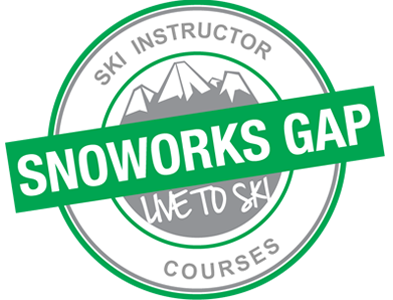 #strongskilegs has been the default hashtag on SnoworksGAP’s Instagram this spring and summer, the reason being is that the SnoworksGAP lead instructor Lee Townend, has been bitten by the road cycling bug. It doesn’t matter what you do to keep fit, but if you are considering training to become a ski instructor, or are already working your way through the BASI ski instructor system (or other training associations), then getting and keeping fit is an imperative part of your success. The forces and adjustments needed to ski the bumps, off piste, race train, and deliver hours and weeks of fantastic passionate ski or snowboard lessons will take their toll, and this is where I believe cycling plays it’s part. Weight training for strength (blog to follow), Plyometrics for power, balance and reaction (blog to follow), and then you need some cardio for the heart, lungs and sustainability. Road cycling is a fantastic way to explore, travel and see places, roads, even countries you may not normally use or travel on whilst keeping fit. As opposed to running, with your regular lap around your regular park or forest track (nothing wrong with it) you can improve your cardiovascular fitness, strengthen your legs and reduce the impact to your knees, all on the pleasure of the bike. Yes a nice road bike will cost you more than a pair of trainers, but once you have it you don’t need to put petrol in it, and you are the engine that will make it go further or faster as you get fitter and stronger. Sportives are a great way to start, as these are dotted all over the country and are full of like minded individuals who just love cycling, also there cycling clubs that have regular club rides that are free to join. The culmination of the four summers of cycling has resulted in my biggest and hardest sportive achievements this year, I set out to achieve the “Marmotte” which is known as one of, if not the hardest, 1 day sportive in the French Alps. At a distance of 175km and with 5200 metres of uphill it was a beast, add to that the 44-degrees temperatures when cycling up the final climb of Alp d’Huez and this was a tough yet sadistically rewarding day on the bike! Two weeks later I would detox on the “Etape du Tour”. This is an annual ride that attracts over 6000 riders, not only is it on some of the most iconic climbs in the Alps, it is also a closed road event and an exact stage taken from the Tour de France of that year. This was a 138km and 4300m ride and the atmosphere and support was incredible, you felt like a tour rider as the public cheer you on and shout your name bringing added motivation. An interesting fact about the Etape du Tour, as the public ride it before the Tour arrives; the winner of the sportive was 1 minute faster than the last (slowest) rider of the real Tour de France 4 days later!!! Crazy! Ski the winter, cycle the summer. Get out there and enjoy the mountains whether they are covered in snow or not!